I recently had lunch with my wife at Geevor Tin Mine cafe, and in their gift shop I came across this awesome looking gemstone. Please correct me if I'm wrong, but I believe it's called an Amethyst (SiO2). This one stands about 15 inches tall and the hexagonal prisms show an awesome vibrant purple. When I seen this I immediately thought it looked like a real life Minecraft Nether portal, what do you think? 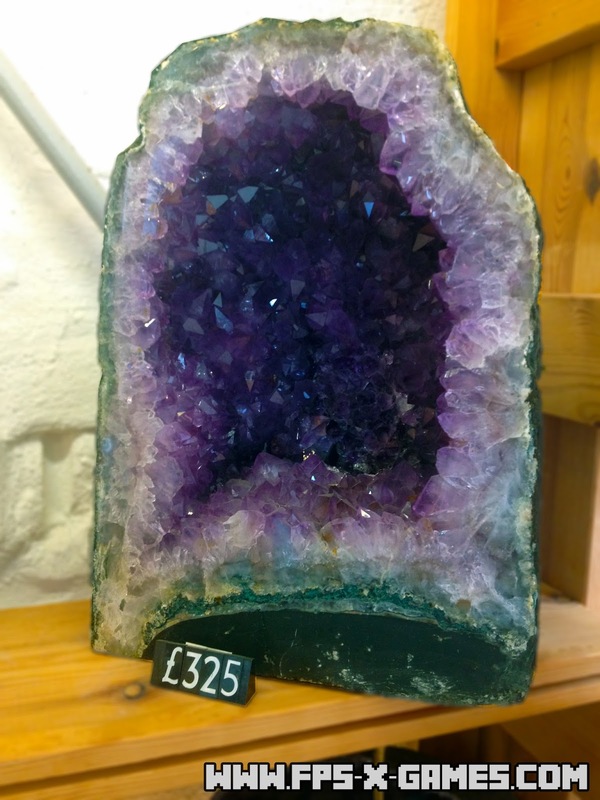 I just wish I had a spare £325 so I could show off this real life nether portal at home, such is life.